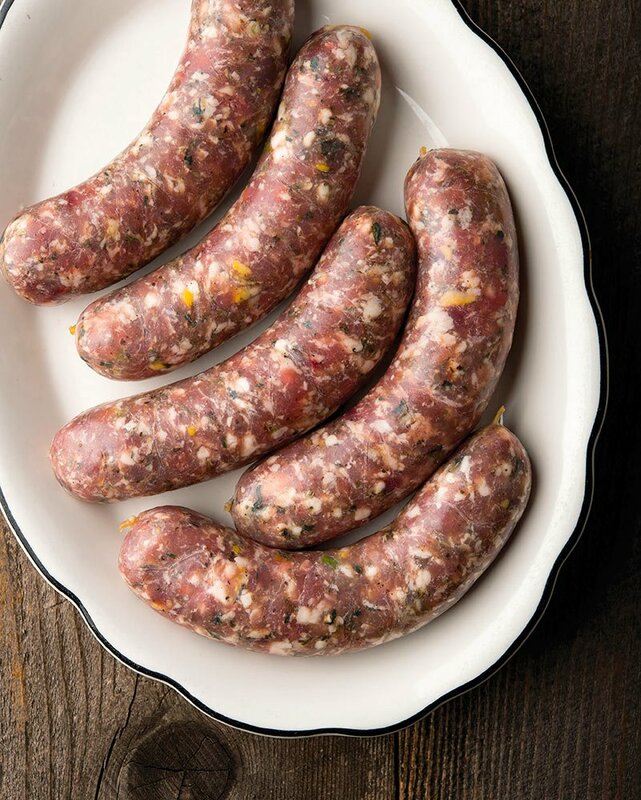 I developed this sausage for an old rooster, but since then have used it for pheasants and turkeys a lot. You can use any white meat here, so chicken, rabbit, even riffed grouse or partridges would work. And there’s no reason you couldn’t use some darker meat birds like sharp-tailed grouse, too. Once you have your pheasant sausages made, they are good poached in beer or wine, slowly grilled over charcoal, browned in a pan over medium heat, or roasted in a 325°F oven for 20 minutes. Serve in a bun, or with your choice of starch and vegetable. If you’ve never made sausages before, start by reading my basic sausage-making instructions, which are hosted on my friend Elise’s site Simply Recipes. 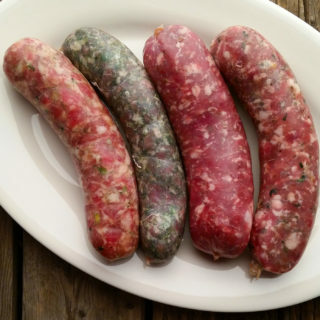 This is a light, fresh sausage made with good fresh herbs, fresh lemon zest, some garlic and Madeira wine. If you cannot find Madeira, which is a thick sweet wine, sub in any other sweet wine. Barring that, use regular white wine and add a teaspoon of sugar. Chill the meat until it is almost frozen by putting it in the freezer for an hour or so. Take out some hog casings and set in a bowl of very warm water. Chop meat and fat into chunks that will fit into your grinder. Mix in the salt, and, ideally, let this set in the fridge overnight; this helps the bind. You can skip this step if you are in a hurry, though. When you are ready to grind, take out half the fennel seeds and half the black pepper. You'll want to add them right before you do that final mix. This keeps some spices whole, altering the sausage's texture, making eating it more interesting. Combine the other half of the fennel and pepper, garlic and herbs with the meat, mix well with your hands and grind through your meat grinder using the coarse die, about 6.5 mm. If your room is warmer than 70°F, set the bowl for the ground meat into another bowl of ice to keep it cold. Chill the meat for another 30 minutes, then grind half of it through the fine die. Why bother? Because there will be a lot of stray silverskin in an old bird. Grinding to a finer level will make eating the sausage easier without getting any gristly bits. You can skip this if all you are using are breasts. Add the wine and lemon zest, then mix thoroughly either using a Kitchenaid on low for 60 to 90 seconds or with your (very clean) hands. This is important to get the sausage to bind properly. Once it is mixed well, put it back in the fridge. Stuff the sausage into the casings. Fill whole casings first. Then twist off links by pinching the casing down and twisting it; you want it to be about 5 to 6 inches long. Twist first away from you, then towards you. This helps the links stay tight. Or you could tie them off with butcher's string. Hang the sausages in the kitchen for an hour, or up to overnight if you have a place to hang them in refrigeration. Use a needle to pierce the skin where there are any air bubbles. Gently twist-tighten the link to remove any air pockets. Once the sausages have dried a bit, put in the fridge until needed. They will keep for a week in the fridge. If you are freezing the sausages, wait a day before doing so. 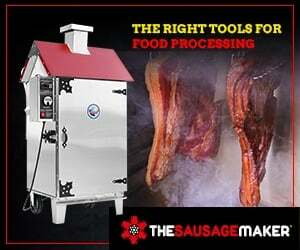 This will tighten up the sausages and help them keep their shape in the deep-freeze. Siegfried: As much as you want. Generally I do the finely grated zest of 2 lemons.